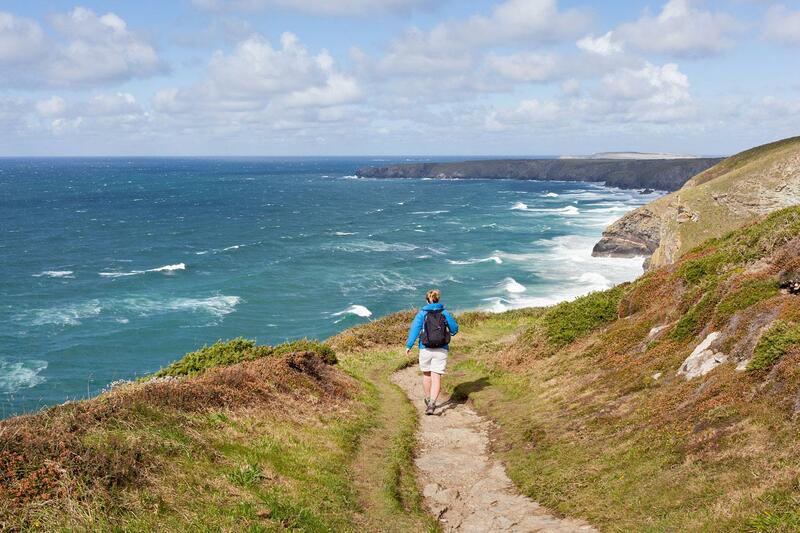 Walking the best of Cornwall’s north coast from St Ives to Padstow & Tintagel. Rugged cliff tops, peaceful and pristine coves. Tintagel and its mystical connections to King Arthur and Merlin. The quaint port of Port Isaac, where TV drama Doc Martin was filmed. Freshly caught fish and chips at Rick Stein’s famous restaurant. A self-guided walking tour experiencing the highlights of Cornwall’s north coast from St Ives to Padstow & Tintagel. 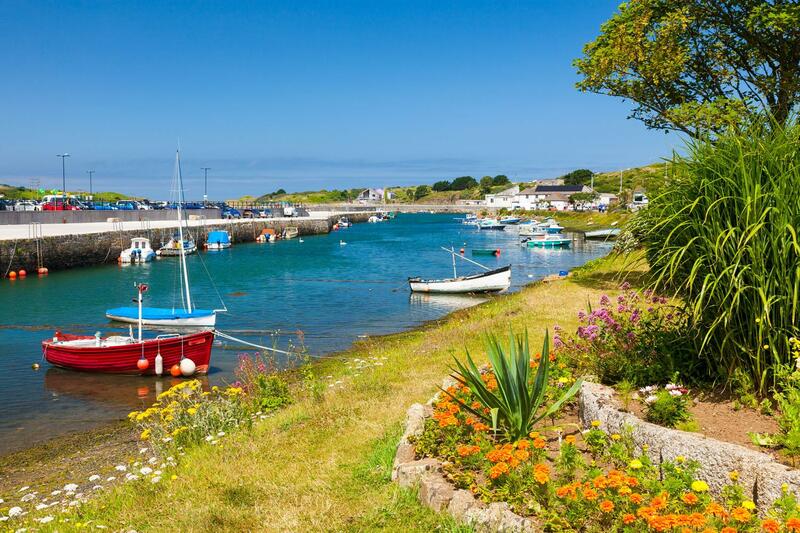 Enjoy overnight stays in the quaint fishing towns and villages of St Ives, Padstow and Tintagel and follow trails through designated Areas of Outstanding Natural Beauty. Walk along the rugged clifftops and hear the wild Atlantic seas crashing against the rocks. As a contrast, pass through secluded and peaceful golden sandy coves. 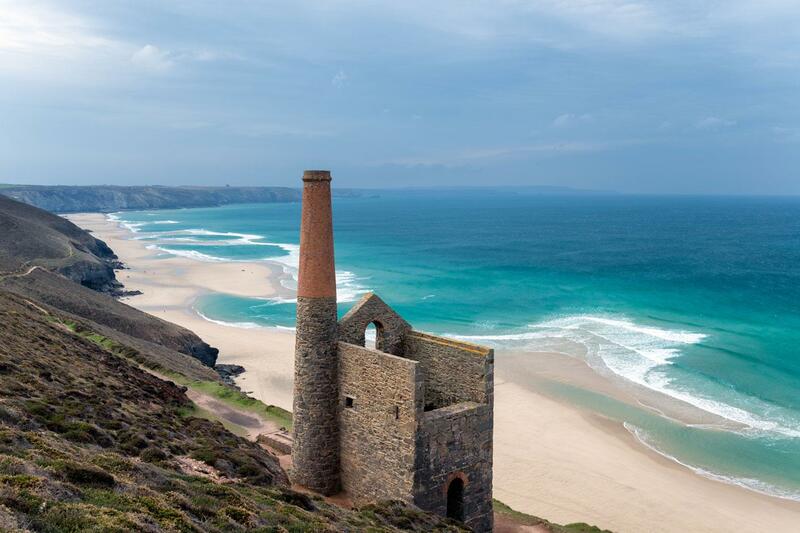 Encounter Cornish history first-hand as you pass the ancient remnants of the mining industry and hear locals regale in the local pubs about the legend of King Arthur and Merlin. St Ives is a bustling fishing village with a wonderful harbour, winding narrow streets, art galleries, and plenty of restaurants. Settle into your charming accommodation, then begin to explore! 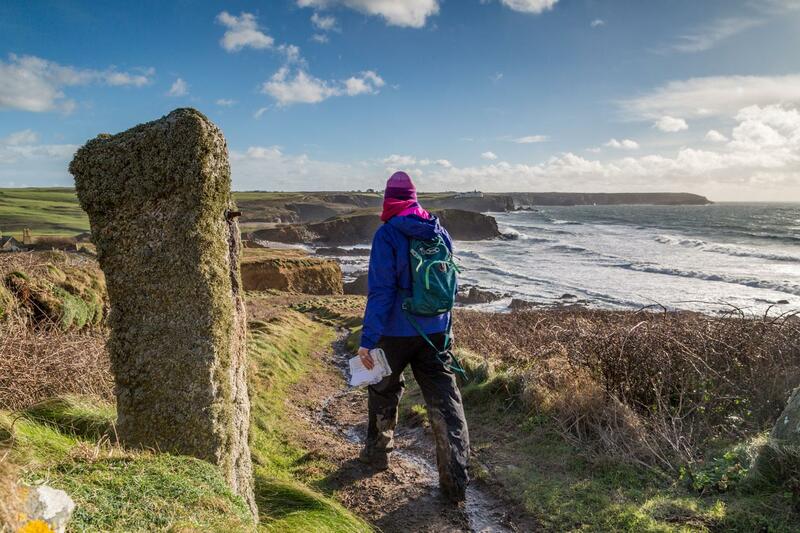 The beginning of today’s walk takes you along the South West Coast Path and past beautiful coastal scenery to The Carracks, rocky islands just offshore and which mean “rocky” in Cornish. Continue inland climbing Rosewall Hill for more fabulous views before walking back into St Ives. 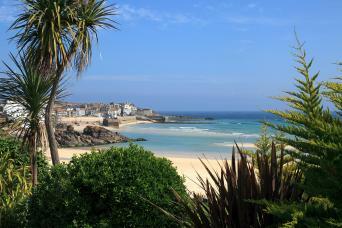 Day 3: Free day in St Ives or optional walk. St Ives is a mine of shops and galleries so you can, if you wish, spend the day exploring the town. There is even a small Tate Gallery here that you can visit. 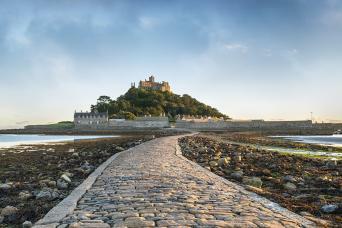 Alternatively you may wish to take a walk along the St Michael’s Way to Marazion, where you can see the iconic view to St Michael’s Mount. A transfer of about 1 hour, brings you to the beautiful golden beach of Mawgan Porth further up Cornwall’s north coast. After walking along its stunning coastline and some trails inland reach the fishing port of Padstow, your home for the next 2 nights. 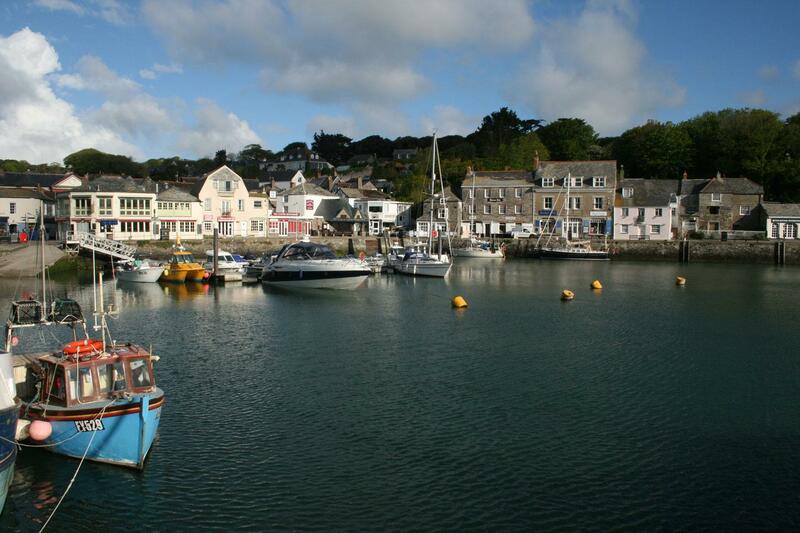 Day 5: Free day in Padstow or optional walk. The town of Padstow is very charismatic with its little harbour and tiny cobbled streets that stretch away from the sea. There’s plenty to explore here and don’t forget to sample the excellent fish & chips at Rick Stein’s famous shop/restaurant. Alternatively you can walk along the South West Coast Path to Constantine Bay or take the little ferry to Rock and take a short loop walk. A transfer (30 mins) brings you to the picturesque village and harbour of Port Isaac, the setting of the TV drama, Doc Martin. 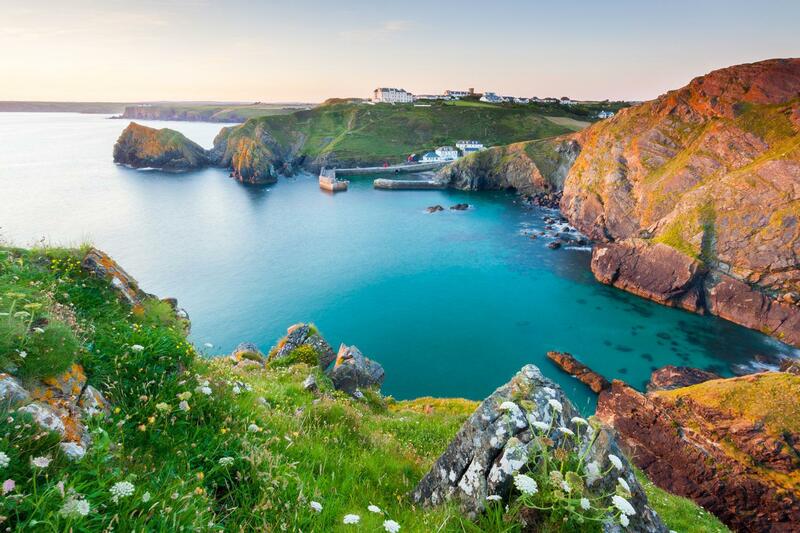 Explore Port Isaac, steeped in history, before striding out along the spectacular coastline to Tintagel and its stunning hilltop castle and mystical King Arthur associations. Locals claim he was even born in the castle! Today you initially walk inland through the surrounding countryside, villages and farmland. 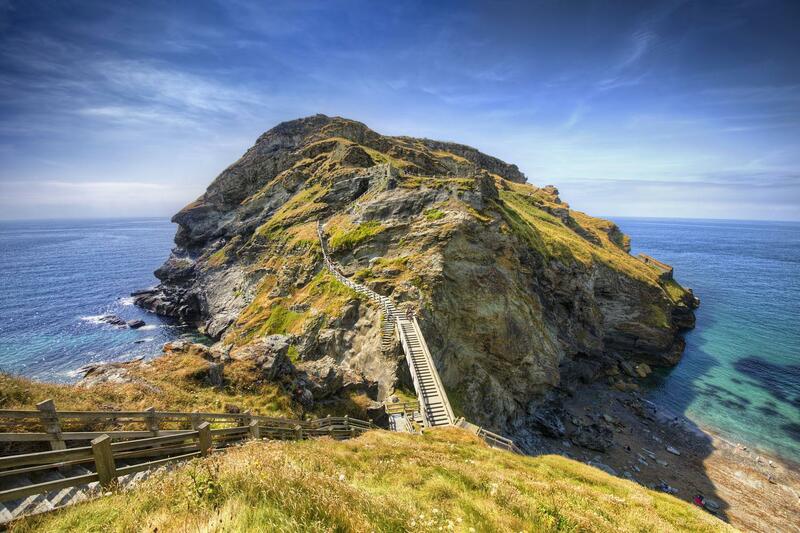 Reach Boscastle further up the coast and discover its Medieval centre and distinctive harbour. It is a village associated with many authors and artists who have been inspired by its remoteness and rugged beauty. Perhaps have a fortifying lunch in a local pub before setting off down the South West Coast Path and back to Tintagel. An included transfer is provided to Bodmin Parkway Railway Station, from where you can make your onward journeys. You will stay in a mixture of carefully chosen B&B’s and guest houses. This B&B is located in a large & elegant Victorian house only a 5 minute walk from the centre of St Ives. All the rooms have a great sea view and offer lots of light, plus a fresh and contemporary style. Trevenna Lodge is ideally located in a quiet location just a five minute walk from the centre of the village. All the guest rooms have been individually furnished and decorated to a high standard. This trip is available to start on any day of the week from March to October. This tour can be enjoyed from March to October but you can walk at any time of year. You can start on any date that suits your travel plans. Spring and Autumn/Fall are great because it is quieter on the paths. When walking on the South West Coast Path the route is well way marked and easy to follow. However, for all the walks we provide comprehensive route notes, OS maps and you will also have access to the Macs Adventure Smartphone App enabling you to follow the route using your phone’s GPS. Using this combined with the provided route notes and maps means you should have no problems finding your way. 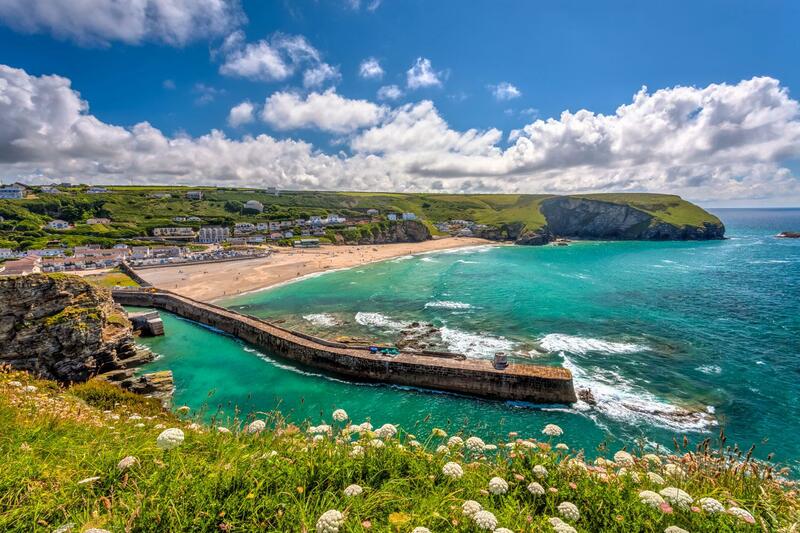 By Car - St Ives is a 5 and a half hour drive from London, there is limited parking and the car parks can often be very busy in the summer months. A transfer from your accommodation in Tintagel will be included to Bodmin Parkway Train Station. From here there are direct trains to London Paddington which takes about 4 hours. More information can be found on the Traveline or National Rail. This tour is graded as moderate. Most of the walks are along coastlines and so do include elevations and losses as you walk up and down to the cliffs from the beaches. Walking inland at times will be more rolling and not as challenging. As far in advance as possible! We suggest you book as soon as your plans are finalised as Cornwall is extremely popular, especially during the summer months. If booking at short notice we will always try and accommodate your plans. This Cornwall itinerary is very enjoyable at any time between March and October , although it is particularly lovely in late spring and early Autumn. Stunning beauty at every turn. It was beautiful. The little towns were quainte. The people of Cornwall were the friendliest you will ever meet. The hikes were a challenge in some parts, but the reward was worth it. Pictures don't do it justice. I am happy I chose the north coast trip, especially being a Poldark fan. Mac Adventure were quick to get back to me when I had questions pre trip. I would use them again. There was some issue with the first hotel and noise but this didn't distract from the friendly service. Overall the trip was a great success and we intend to use your service again next year..
From the moment I contacted MacAdventure I was impressed with the service and attention to detail Kayleigh offered us. The information package was thorough with detailed notes. The accommodations were spotless and the keepers were very helpful, pleasant and so very personable. The taxis drivers were fun and on time and the luggage arrived safely every day. The route was full of surprises and the scenery...well I will never forget the lovely villages and those CLIFFS of Cornwall..... absolutely stunning...glorious!! It was a trip of a lifetime...and we would not hesitate to recommend MacsAdventure to anyone wanting an experience of a lifetime! We would use MacsAdventure again in a heartbeat...Thank you!! Day 1: Arrive St Ives and overnight. Day 2: Loop Walk via The Carracks & Rosewall Hill, 9 miles. 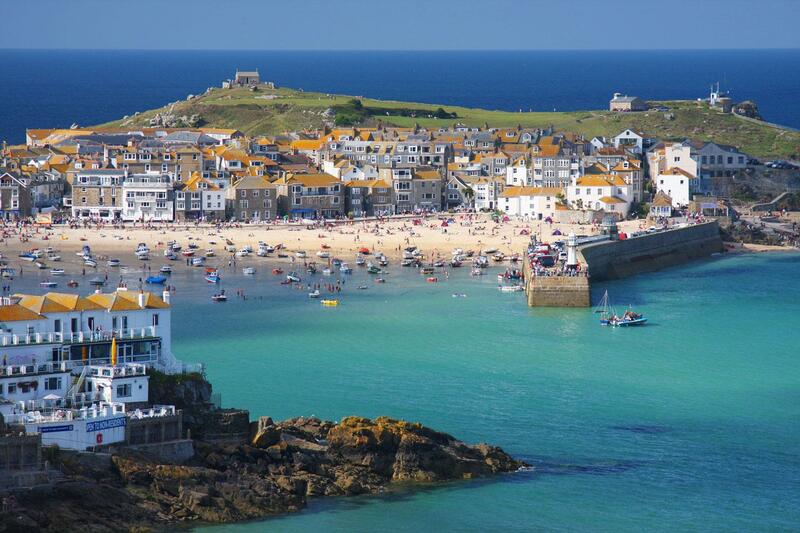 Day 3: Free day in St Ives or optional walk, 8 miles. Day 4: Transfer to Mawgan Porth, walk to Padstow, 10 miles. Day 5: Free day in Padstow, or optional walk, 7 miles. Day 6: Transfer to Port Isaac, walk to Tintagel, 9.5 miles. Day 7: Tintagel Loop Walk via Boscastle, 10 miles. 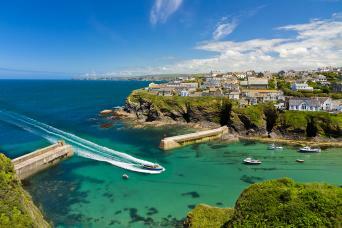 This tour immerses you in the amazing natural beauty, sights and history of the north coast of Cornwall. Enjoy staying in pretty fishing towns and villages, and walking to places so stunning that they have been chosen as settings for TV dramas. Also encounter areas steeped in history, including historical links to the tales of King Arthur. If this sounds like your idea of a great holiday this tour is definitely for you.